Why does iTunes show an exclamation point next to my music? Have you ever come across the 'missing track' problem in iTunes? You double click on a track in iTunes to play it and nothing happens. A small exclamation point appears next to the track. Why? When an exclamation point appears next to your music when the item listed in iTunes is no longer available on your computer. The file is missing. You have to wonder how much more of the music in your iTunes library is also missing don't you? You cannot tell until you try playing the music in iTunes! Tune Sweeper can help you. 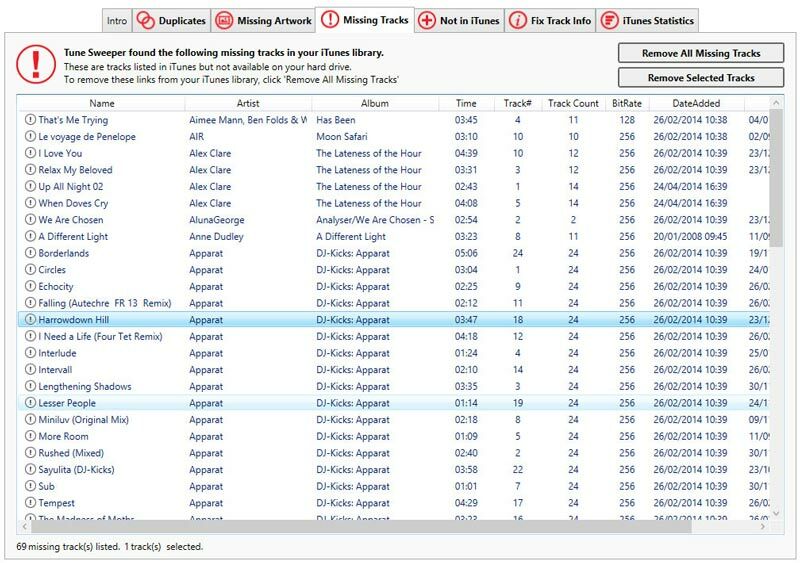 Tune Sweeper will scan your iTunes library for music that is no longer on your hard disk. Tune Sweeper will display all these tracks in one place. 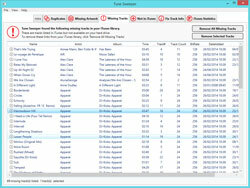 Then, Tune Sweeper can remove the broken links from your iTunes library. With Tune Sweeper - you never have to worry about exclamation points appearing in iTunes again. Check out our Tune Sweeper user guide for more info on how to remove exclamation marks from iTunes by getting rid of the links to missing tracks.